Virtua Fighter (バーチャファイター) is a fighting game developed by Sega AM2 and published by Sega for Sega Model 1 arcade hardware in 1993. It is the first game in the Virtua Fighter series. It is often cited as being the first fully 3D fighting game released to the general public, and is a basis for almost all subsequent games in the genre. It was an influential game in the development of 3D polygon graphics, popularizing it among a wider audience (along with Virtua Racing), demonstrating 3D human character models effectively, with realistic movement and physics, creating the basic template for 3D fighting games (such as Tekken, Soul and Dead or Alive), and playing a key role in the development of early fifth-generation consoles (the Sega Saturn and Sony PlayStation). 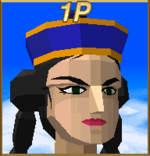 It was followed by a 1994 sequel, Virtua Fighter 2. While much of the first Virtua Fighter's story would be retroactively filled in by newer games and merchandise, the basic premise of the first game is that martial artist Akira Yuki, specialising in the forgotten art form of "Hakkyoku-ken" enters the World Fighting Tournament, in an attempt to be recognised as the greatest fighter in the world. 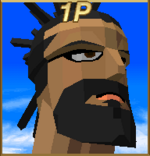 Virtua Fighter is a versus fighting game, pitting two of nine characters against each other in a three-dimensional arena to fight until one is "knocked out". Unlike other games in the genre at the time (such as Street Fighter II or Mortal Kombat), Virtua Fighter relies only on a control stick and three buttons, ("Defense" (guard/block)), ("Punch") and ("Kick"). Simple button combinations will trigger special attacks, and the large number of moves leads to a relatively complex fighting game. Movements in Virtua Fighter are seen as more realistic than many of its popular 2D rivals from the likes of Capcom or SNK (although in this original game at least, characters still have the ability to jump the height of an average human). Virtua Fighter opts for a slower-pace with fighting styles modeled on those seen in the real world, alongside a "ring out" system, where fights can be lost if a player either walks or is knocked out of the ring. 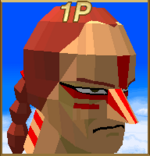 While fights take place in a 3D arena, players can only manipulate their characters in two dimensions. Movement on the third dimension is dictated by the movesets of opposing characters, however regardless of orientation on the ring, fighters will always face each other head-on and the control scheme will never change. Unique to Virtua Fighter upon release was the concept of characters receiving "damage". 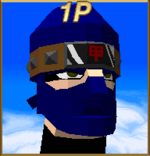 If hit with a barrage of attacks, loose items of clothing (for example, Pai's hat or Kage's mask) will fall off and lie on the arena floor until the match is over. This feature makes no difference to gameplay, but would become a staple in many of Sega's fighting games going forward. Virtua Fighter contains eight characters each employing a different fighting style. A ninth character, Dural, is not readily available to players. As well as detailing their careers and hobbies, Virtua Fighter also lists the character's blood type, which in Japanese culture can determine one's personality. Virtua Fighter claims to feature over 700 moves, many of which were left undocumented for players to find. Note: Move lists assume the player is standing, facing right. If facing left, and should be reversed. Akira is a 25-year-old kung-fu teacher with blood type O. Akira is largely considered the "star" of Virtua Fighter, featuring predominantly on cover art. Pai is an 18-year-old "action star" whose hobbies include dancing. She has blood type O.
Lau, father of Pai, is a 53-year-old Chinese cook. He has blood type B and enjoys Chinese poetry. During development, Lau was known as both "Lee" and "Tao". Wolf is a 27-year-old Canadian wrestler who enjoys karaoke. He has blood type O.
Jeffry is a 36-year-old fisherman from Australia who enjoys reggae music. He has blood type A. Curiously, Jeffry's prototype name was Dural, a name re-assigned to the final character of the game. He was also briefly known as "Willy". Kagemaru (or just Kage) is a 21-year-old ninja who plays mahjong for a hobby. He has blood type B.
Kage was originally known as Yagyu during development. Sarah is a 20-year-old female college student from the United States. She enjoys sky diving and has blood type AB. In earlier versions of the game, Sarah's name was spelt without the "h" (i.e. "Sara"). Jacky, older brother of Sarah is a 22-year-old male from the United States. He is a Indy car racer by trade and of blood type A. Originally Jacky's name was spelt with an "ie" (Jackie). This was changed for the final version. Dural is the last fighter, being an amalgamation of all the other Virtua Fighter fighters. This article needs to be edited to conform to a higher standard of article quality. After the article has been cleaned up, you may remove this message. For help, see the How to Edit a Page article. Up until that time, fighting games (such as Capcom's Street Fighter series) were designed and rendered on sprite-based 2D graphics hardware—both the character animation and background scenery were composed of 2D sprites and tilemaps, which when using multiple layers produced a parallax scrolling effect as the screen moved to follow the characters. 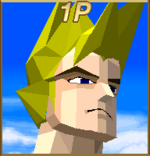 Virtua Fighter dispensed with the 2D graphics, replacing them with flat-shaded triangles rendered in real-time, using the Sega Model 1's 3D rendering hardware, allowing for effects and technologies that were impossible in sprite-based fighters, such as characters that could move left and right rather than just backwards and forwards, and a dynamic camera that could zoom, pan, and swoop dramatically around the arena. The game had a more realistic take on the genre, attempting to represent actual martial arts disciplines, making it more of a fighting simulation. 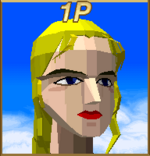 Virtua Fighter's graphics, however, eventually became obsolete due to rapid advances in polygon technology that allowed for rounder, more detailed, textured, higher-polygon-count character models, as seen in Virtua Fighter 2. Nevertheless, Virtua Fighter forever revolutionized the fighting game genre, introducing a more realistic style of gameplay to the genre with its move to 3D. Virtua Fighter was a phenomenal success for Sega, particularly in Japan which was already consumed by arcade game fighting culture. After a slow start, it became one of Japan's highest-grossing arcade games of all time.No results Its success has guaranteed future entries in the franchise ever since, and is amongst Sega AM2's most recognisable products. Virtua Fighter was followed by Virtua Fighter 2 in 1994, which sports significantly improved visuals and two new characters. AM2's Seiichi Ishii would also leave following his work on this game to create Tekken for Namco, seen as an important competitor to Virtua Fighter during the 1990s. Likewise, programmer Francois Yves Bertrand (credited as F.Y. Bertrand) was headhunted by Atari Corporation and put to work on the Atari Jaguar 3D fighting game, Fight for Life, cited as being a killer app for the system designed to rival the PlayStation and Saturn consoles (though mismanagement at the company led to an unfinished build being released). 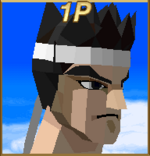 Virtua Fighter had been given some representation in the Super Smash Bros. series. In Super Smash Bros. for Nintendo 3DS / Wii U, Mii Fighter costumes based on Jacky Bryant and Akira Yuki were added to the game as paid DLC, with the Jacky costume being based on his Virtua Fighter 5 appearance, and the Akira costume being based on his appearance in the original game. Akira himself would later appear in Super Smash Bros. Ultimate as an Assist Trophy, using his polygonal look from this game. As a milestone for both Sega and the fighting game genre as a whole, Virtua Fighter was widely tipped for release on the Sega Saturn console. A port was developed in conjunction with the hardware and was released in Japan as a launch title (before becoming the pack-in game for the subsequent North American and European launches of the console). Views on the Saturn version are generally mixed, as while its existence led to Sega's console out-selling the PlayStation during its first few months of sale in Japan, it quickly became apparent that the port had been rushed to market with severe graphical and technical issues. Although the disc comes paired with higher quality arranged music inspired by the arcade soundtrack, polygon counts are significantly lower, five-second load times interrupt fights and the screen resolution is reduced over the arcade game. 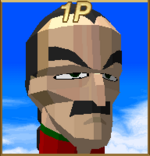 On the Saturn, Virtua Fighter has issues rendering 3D content, with flickering polygons overlapping in odd ways (some of which occasionally disappear entirely), and animation issues, including an infamous bug where certain characters' feet to point in the wrong direction during their winning poses. The jerky camera of the arcade version is also carried over from the arcade game, and in some situations can behave worse than its arcade counterpart. Similar technical issues would be witnessed in Daytona USA, also created in parallel with the hardware. By the time of the Western release in mid-1995, Virtua Fighter compared unfavourably to other early Saturn/PlayStation fighting games, such as Battle Arena Toshinden. In response, Sega released Virtua Fighter Remix shortly before the Winter launch of Virtua Fighter 2, which addresses some of the concerns and textures the 3D models. Virtua Fighter Remix quickly became the de facto version of Virtua Fighter, being the new console pack-in and the basis for Virtua Fighter PC. 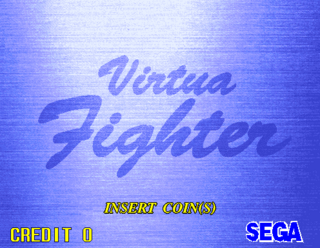 A version of Virtua Fighter was also released for the Sega 32X, which in Japan debuted after the Saturn version (but before the Saturn version in other territories). Originally planned to be a Sega Neptune launch title, it suffers from even lower polygon counts than the Saturn version and various other cutbacks, but is otherwise relatively faithful to the original, subsequently being cited as one of the better games for the system. While the 32X renders fewer polygons at any one time, they are generally more "stable", with clipping and flickering being mostly absent from port (although some animation issues still remain). It is also the only 32X game with support for 16:9 widescreen displays. Both home versions of the game added a "Round-Robin" tournament mode. Ports for mobile phones also exist. Main article: Virtua Fighter/Magazine articles. Main article: Virtua Fighter/Promotional material.